We are having a civil war and, much like the Captain America movie, we have an ultimate team-up. In this case, however, it is not Captain America and the Winter Soldier. It’s the manager of a Major League Baseball team being able to choose any batter he wants while losing in the ninth inning. Sounds like MLB 12: The Show when you can unlock Honus Wagner, right? The fact that this idea is trending is pretty crazy. This idea was obviously thrown up on the 100 ideas board and it was eventually leaked to the media. The reason it gained traction is because it gives losing teams the chance to utilize their best player. However, this isn’t a video game. This comes out after a tumultuous off season for baseball. The MLBPA has buyer’s remorse on their new collective bargaining agreement. This has brought about a market correction on players contract, leading into a slow offseason where there are still many players left on the market. The player market is still healthy with the signings of J.D. Martinez, Eric Hosmer and Yu Darvish to deals exceeding $100 million. A line of thought could point to the several teams trying to get under the $197 million payroll as a contributing factor. With the Yankees bringing back the long ball and buying into analytics they seem to have slowed the pace of the free agent market. 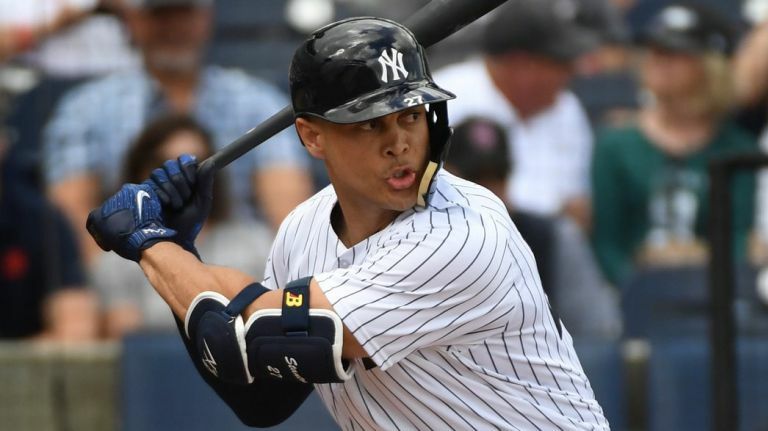 You could also point to the massive contracts given out to the likes of Alex Rodriguez and Albert Pujols in the past that have given organizations pause. The MLBPA gave the commissioner the ability to install these rules for pace of game. A game shouldn’t be four hours long and Commissioner Rob Manfred knows it. However, the idea of the ultimate lineup is a step too far. It’s fun to imagine all the different line up possibilities. And what happens if a game goes to extra innings? Does the other team get to send up it’s best line up even though it’s tied? There are too many factors with such a huge step off from the regular game. So, for a distraction we get to think about the Yankees sending out Giancarlo Stanton, Aaron Judge and Didi Gregorious in every ninth inning of the year where the Yankees are losing. There are only a few bullpens in the league able to stop such an opposing force. Another fantastic choice would be how different the ninth inning of last year’s World Series Game 7 would be if Ken Giles had ro convert a save against Corey Seager, Cody Bellinger and Justin Turner. Can you say Avengers? Or World Series champions? I understand baseball’s idea to speed up the game. A quicker game means more fans. More fans means more money, which is good for both sides. So I didn’t understand the hubbub over only being able to have six mound visits in a game. The foot in the batter’s box is another small but effective maneuver. It’s not ground shaking like our topic idea. Anyone who has been to a game on a hot July day can attest to a game that seems to never end. So while the fantasy of the 2019 Yankees being able to bat Bryce Harper, Manny Machado, Judge, Stanton, or Gregorious is relaxing, can we all say 162-0. I am a fan of the smaller move rather than the video game move.